Keeping within the spirit of Christmas, bring the family and join us for our Christmas Parade which happens on Saturday, December 1st at 6pm. You’ll be treated to parade floats, bands, and other entertainment. Parade starts at 6th and K Streets Heads North on 6th to G Street. 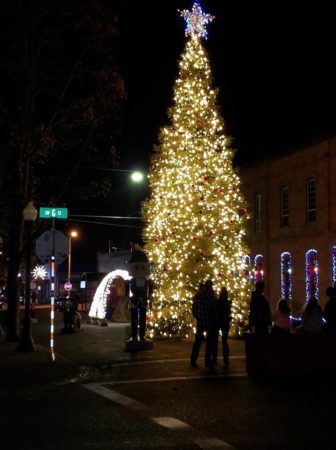 The Grants Pass downtown area is open later during the Holiday Season. Many locations have giveaways to keep it all local, so remember to shop where you see “Shop, Dine & Win”. You’ll get scratch its and maybe a change to win money or free items at our local downtown shops. Experience Christmas here at Redwood Hyperion Suites and remember we are within walking distance of downtown and where all the magic takes place this holiday season!